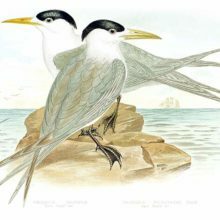 The present bird is one of the smallest of the Terns, and, as far as is known, in habits and general mode of life does not differ from the other members of the family. 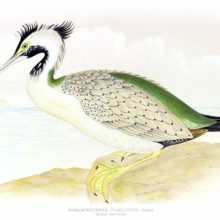 This species frequents the colder latitudes of the southern hemisphere, but occasionally visits the coasts of New Zealand and Tasmania, and some fine specimens were procured by Gould near Maria Island, off the coast of the latter island. 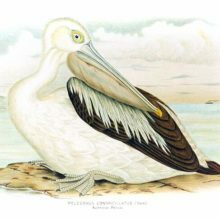 […] Except for its much smaller size and darker hue of plumage, there is a strong resemblance between this species and one inhabiting the Falkland Islands, in the South Atlantic. The species is gregarious at all seasons of the year, and about the low sandy islands of the Abrolhos shoals and the the islands of the Dampier and Buccaneer Archipelagos—all of which are situated in the warm seas of the West Australian coast—large flocks of these graceful sea rangers are seen continually passing to and fro, especially in the early morning and towards the close of the day; during the heat of the day, and after the birds have finished the morning’s fishing about the coral reefs and sandbanks, they retire to the shore and seek the shelter of the stunted herbage.